Life can throw many curve balls unexpectedly. As I sit back and think about my situation and what I’m going through, I realize this isn’t the life that I wanted. Growing up I was always told never to tell or be a snitch, but as I tell my story to other inmates about why I’m in prison. They tell me I should’ve told because I’ll be a free man. It’s funnu how things play out and how people react to differentt situation. But you know in prison we say “What don’t kill us, only makes us stronger”. I’m not big on the “Word” like I was when I was younger, but I do believe everything happens fora reason. I been put in a position where I can put together my plans, so when I do to go home I’m not walking around blind and don’t know what to do. 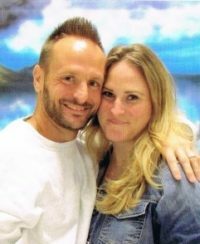 It might sound crazy but I believe coming to prison saved my life and open my eyes to all the chaos going on in the free world that could’ve killed me or caused me to kill someone. I listen to how some guys wanna go home and do the same thing as before like they didn’t learn from there mistake. But I on the other hand have learn from my mistakes and the mistake of other inmates. So when I come home I can be that unexpected curve ball that others didn’t expect.